Troy Pospisil, is founder and CEO of InCloudCounsel. 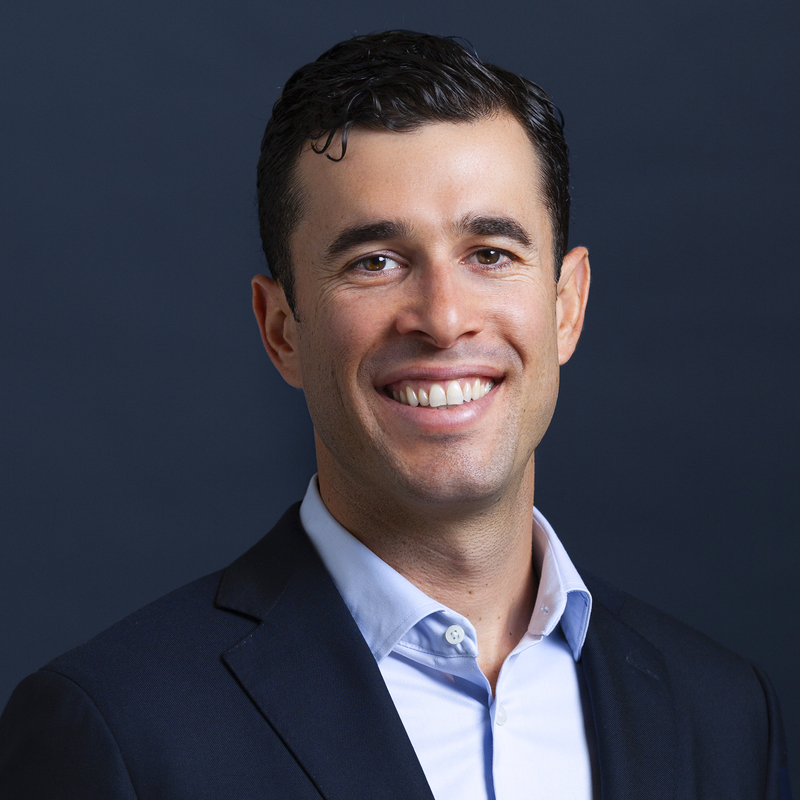 Troy oversees efforts to scale up the legal technology company, bringing its global, end-to-end solution for negotiating and managing routine legal work to some of the world’s leading companies. In just four years, Troy and his diverse team of software and machine learning engineers, ex-corporate attorneys, and financial services professionals are now delivering InCloudCounsel’s solution to hundreds of companies around the world. Prior to founding InCloudCounsel in 2014, Troy worked in private equity at H.I.G. capital and in management consulting at Monitor Deloitte. I founded and sold a company in college and then got the advice from mentors that I should learn how the corporate world operates. So after college, I spent a few years working in each of management consulting and private equity. I had always planned on going back into entrepreneurship and came up with the idea for InCloudCounsel while working at a large asset management firm. I left my job and started InCloudCounsel in 2014. When we were first getting started, I sent handwritten letters to a small list of the most senior executives at about ten dream customers. To my surprise, the global general counsel of one of the largest asset managers in the world responded and invited me to meet with him. Long story short, they are now one of our largest customers. I could talk about my views on leadership for weeks, but at the top of the list I would put communication, alignment, and signaling. A leader has to clearly communicate the company’s values, purpose, vision, and short-term goals. They have to make sure that everyone is aligned around those items and that their functional and personal goals clearly support those of the company. Finally, you have to signal that you are serious about it all by living those values and framing every decision the company makes within the stated values, purpose, vision, and goals. For example, you can’t hire people that don’t fit the company’s values just because they have the right skills. When I was working at H.I.G. Capital I spent a lot of time working with Jeff Bohl, who is a partner in their private equity group. Not unlike other people I’ve worked for, Jeff pushed me extremely hard and demanded flawless work product. However, Jeff always took the time to give me detailed one-on-one feedback, explain the broader context of my tasks, and thoughtfully push me to take on new and more complex tasks. This had a huge impact on my professional development and continues to influence how I approach leadership and management. I feel very fortunate that I passionately enjoy working in and learning about business and investing. As such, my personal life mixes with my business life in a way that is both complementary and additive. Most of my close friends are passionate entrepreneurs or investors and our most enjoyable conversations are those where we are sharing ideas, brainstorming, etc… My favorite things to do outside of directly working on my business are spending time with my wife, sailing, and reading. My wife happens to be an entrepreneur, I co-own a sailboat with my co-founder and CTO, and I mostly read biographies of business leaders and entrepreneurs. Find a career that you love and live it!! I don’t think growing our company has changed how much time I allocate to work. I enjoy working and learning and have always been hard at work on something ever since I was in school. I am also very lucky to have found someone to spend my life with who is probably more curious and hardworking than I am. When we started dating in college we spent many of our nights together studying side by side in the library. We now spend many evenings together on the couch with our dog, laptops in hand. Start every day with a plan: When you start your day write down exactly what you plan to do. Include both work tasks and personal tasks. Don’t multitask: Focus on each task 100% until it’s complete. Try not to get distracted by emails, texts, calls, etc. I promise that you will accomplish far more with this strategy. Stop scrolling social media and reading clickbait: You know you do this and you know it’s a waste of time. Also, your brain is now battling machine learning algorithms that are trying to keep you scrolling. Get out while you still can! Don’t sacrifice what you need to be happy: If I sacrifice the core things that keep me balanced, my focus and mood are negatively impacted. Therefore I don’t save time by sacrificing these things; I actually end up losing productive time. Run or bike to work: When I lived in San Francisco I would run to work. I now live in LA and I bike to work. This will probably take you the same amount of time as it does to get there by other means and now you don’t have to pay for or spend time in a gym! Without question, it’s when the people on our team are thriving professionally. I am a big believer in hiring for curiosity, intelligence, attitude, and values, sometimes at the expense of directly relevant experience. We like to hire great people, challenge them, give them the resources they need, then get out of the way. Nothing gives me more satisfaction than to help an amazing person find their stride. If I could inspire the global community to do one thing, it would be to agree to and enforce a global bill of human rights. I am currently reading The Warburgs by Ron Chernow, and a large part of the book takes place in Germany under the Third Reich. It is incredibly saddening that even with the Holocaust directly in humanity’s rearview mirror, we continue to have atrocities such as those that have taken place, relatively recently, in Rwanda, Darfur, and Myanmar. This is not a problem that one country can solve. This requires a united global community of nations acting together, consistently, with a clear set of rules and consequences. You can connect with me on LinkedIn here, and find InCloudCounsel on our website and social channels below.